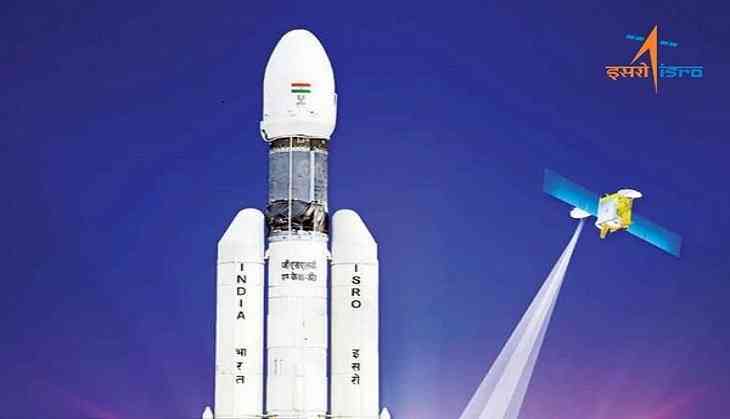 The Indian Space Research Organisation (ISRO) is set to launch a path breaking communication satellite GSAT- 19 from the Second Launch Pad at Satish Dhawan Space Centre, SDSC SHAR, Sriharikota today at 17:28 Hrs (IST). The GSAT-19 satellite is expected to fulfill Prime Minister Narendra Modi's ' Digital India' dream as it would change the way communication is being done in the country. ISRO's series of communication satellites started with the name INSAT ( Indian National Satellite) series. The new generation of INSATs is now named as GSATs (Geo Synchronous Satellites). The primary purpose of both the INSAT and GSAT series is communication and broadcasting services. India's heaviest rocket Geosynchronous Satellite Launch Vehicle-Mark III (GSLV-Mk III-D1) weighing 640 tonnes would be launching the communication satellite GSAT- 19 with a lift-off mass of 3,136 kilograms. This will be the heaviest satellite being launched from India till date. The GSAT-19 carries a Geostationary Radiation Spectrometer (GRASP) payload to monitor and study the nature of charged particles and the influence of space radiation on satellites and their electronic components. GSAT-19 also features certain advanced spacecraft technologies including miniaturised heat pipe, fibre optic gyro, Micro Electro-Mechanical Systems (MEMS) accelerometer, Ku-band TTC transponder, as well an indigenous Lithium-ion battery. After its separation from the GSLV MKIII in geostationary transfer orbit (GTO), GSAT-19 will use its own propulsion system to reach its geostationary orbital home. The satellite is being termed as "a game changer communications satellite for India" as it would alone do the work of 6-7 of the older variety of communication satellites in space. A communications satellite is an artificial satellite that relays and amplifies radio telecommunications signals via a transponder. It creates a communication channel between a source transmitter and a receiver at different locations on Earth. Communications satellites are used for television, telephone, radio, internet, and military applications. There are over 2,000 communications satellites in Earth's orbit, used by both private and government organisations. Once the GSLV-Mk III- D1/GSAT-19 mission becomes successful, India would become self-reliant to launch four-tonne satellites on its own rocket. Earlier, the ISRO had to hire rockets from foreign space agencies to execute the operation, which cost huge amount of money. Currently, two operational rockets- the Polar Satellite Launch Vehicle (PSLV) and GSLV-Mk II- have the capacity of 2.5 tonnes. However, the height of the GSLV-Mk III is around 43 metres, which is slightly shorter than Mk-II version that is around 49 metres tall. GSLV Mklll, a three stage vehicle has been designed for catering the need of carrying heavier communication satellite into Geosynchronous Transfer Orbit (GTO). The vehicle has two solid strap-on motors 5200, a core liquid booster L110 and a cryogenic upper stage C25. The strap-on motors are located on either side of the L110 core liquid booster. The ignition of both solid strap-on motors results in vehicle lift-off from launch pad. L110 core liquid stage will ignite during 5200 thrusting phase itself, at 114s after lift-off to augment the thrust of the vehicle and continue to function beyond the separation of solid strap-ons which occurs at 140s from lift-off. GSLV MkIll is the next version to the presently operational launch vehicles PSLV & GSLV MkII. Satellite Launch Vehicle-3 (SLV-3) was the first launch vehicle developed indigenously by India. The successful launch of Rohini RS-1 satellite by SLV-3 on July 18, 1980 enabled India to join the select club of six countries -United States, former USSR, France, Japan, China and Britain - with the capability to launch satellites on their own. SLV-3 was followed by the Augmented Satellite Launch Vehicle (ASLV). The design and development of GSLV MkIII is based on ISRO's rich experience in handling solid, liquid and cryogenic rocket propulsion technologies. The $200 strap-on motor of GSLV MkIll is an updated version of 5139 solid core motor of PSLV and GSLV MkII. Similarly, the L110 core liquid booster of the vehicle consists of two clustered Vikas engines used in PSLV and GSLV MkII. The first suborbital test flight of GSLV MkIll was successfully conducted on December 18, 2014.